Explore ways to get students to recognize themselves as agents in their own learning and develop the methods, skills, and practices they need to become more independent learners. In this practice-oriented session, participants learn classroom activities and routines to develop students’ essential “learning-to-learn” skills. Sarah Lynn is an ESOL teacher, teacher trainer, teacher coach, author, and curriculum design specialist. She has taught adult learners in the US. and abroad for decades, most recently at Harvard University’s Center for Workforce Development. 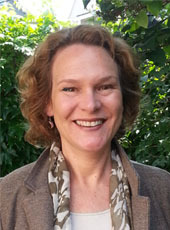 As a teacher-trainer and frequent conference presenter throughout the United States and Latin America, Ms. Lynn has led sessions and workshops on topics such as: fostering student agency and resilience, brain-based teaching techniques, literacy and learning, and teaching in a multilevel classroom. Sarah has co-authored several Pearson ELT publications, including Business Across Cultures, Future, Future U.S. Citizens, and Project Success.